Aqua-Hot Heating Systems, market leader in truck and off-highway hydronic heating solutions, introduces an Installation Kit for its WORK READY™ line. Now, fleet owners can have their own service technicians install these innovative vehicle system heaters. The Installation Kit contains coolant hoses, electrical wiring, loom and connectors, exhaust fittings and all necessary hardware. Only mounting brackets and exhaust tubing that are specific to the vehicle are user-supplied. Designed for medium and heavy duty fleet use, WORK READY heaters are configurable to a wide range of fuels, including diesel, CNG, LNG and LPG. Without the need for idling, they preheat the engine, oil pan, hydraulics reservoir and driver's cabin, as well as the LNG pressure regulator if used. With one or two extra circuits, they will also heat additional space or a potable water loop. A video is at bit.ly/2o7evlB. 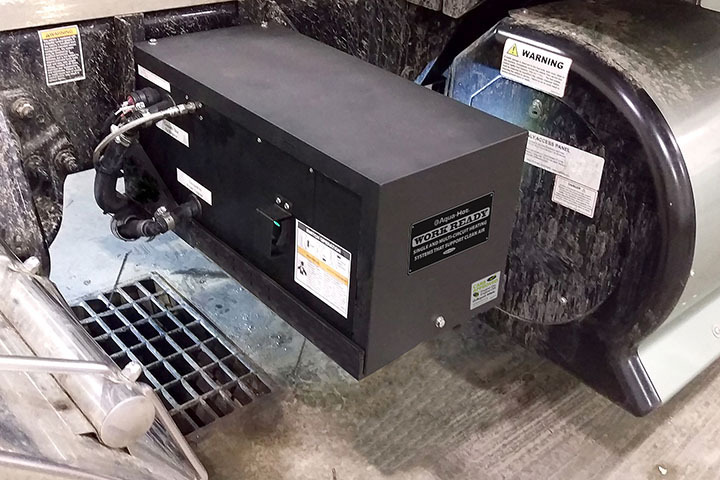 "Until now, a factory authorized service center was needed to install these units," said Chris Hinojosa, Aqua-Hot channel sales manager for WORK READY products. "With our new kit, the hassle-free process is well within the reach of an average service tech." Aqua-Hot's WORK READY Installation Kit retails for $659.90.